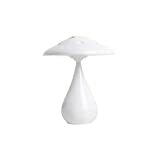 The cool new Air Purifying Mushroom Lamp is a unique mushroom-shaped table lamp that is not only easy on the eyes at night, but it also helps to purify the air around you as well. 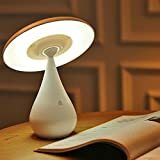 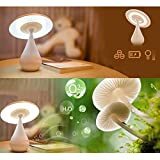 This USB rechargeable lamp / air purifier integrates 48 warm white white LEDs under its adjustable mushroom cap, filters particles as small as 0.01 microns, such as pollutants, bacteria, fine dusts, smokes, and viruses, generates negative ions, and has a touch sensor switch to adjust brightness. 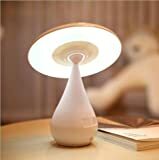 A perfect little table lamp or night light to read by in a bedroom or office that also makes the air around you cleaner to breathe as well. 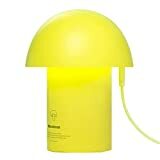 Check out this video to see it in action.